The ‘Flix and Hulu recently dropped some very similar documentaries, each covering different angles of Ja Rule’s latest failure ‘Fyre Festival.’ But are two documentaries enough?! Join us as we chime in on Fyre & Fyre Fraud and discuss the 2019 Oscar noms. VIPs! Time to hop in your nearest telephone booth and head off to bro down with Abe Lincoln as we flash back to 1989's Excellent Adventure of Bill & Ted. Surely this film holds up flawlessly, right?!? Let us know your thoughts in the comments on Patreon! M. Night Shyamalan has finally concluded his trilogy that is over 20 years in the making, so of course it all came together, right? Join us as we put together the pieces of ‘Glass,’ discuss Ghostbusters’ inevitable return, and ponder some hypothetical sequels that could someday happen. Time to bring our best & worst of the year lists in one of our signature Rants & Raves edition of the show, and this year we managed to do it in just over 2 hours and 15 minutes that you’ll definitely never get back. Kent and Brian are off to Switzerland for their yearly meditation and knitting retreat, but the show must go on! Richard is having a totally great time with a special guest to review Adam McKay’s ‘Vice’ so strap in and get ready for some Hot Political Fire from RB & Co. It's our first episode of 2019 and we’re already talking about another Transformers movie! Join us as we break down 'Bumblebee' and bring you our Favorite Things of 2018. Grab your umbrellas and chimney brushes and join Brian, Richard, and friend of the show Hannah for their full review of Mary Poppins Returns as the year in movies starts to wind down. Grab your tridents and chain wallets, it’s Aquaman time! Where does it rank in the DCEU? What will our grades be?! What did Batman Shane think?!?!? While you're waiting hours in the long lines to see the sequel, revisit all the joy, whimsy, and subtle racism of the original with this exclusive VIP Throwback review of Mary Poppins! 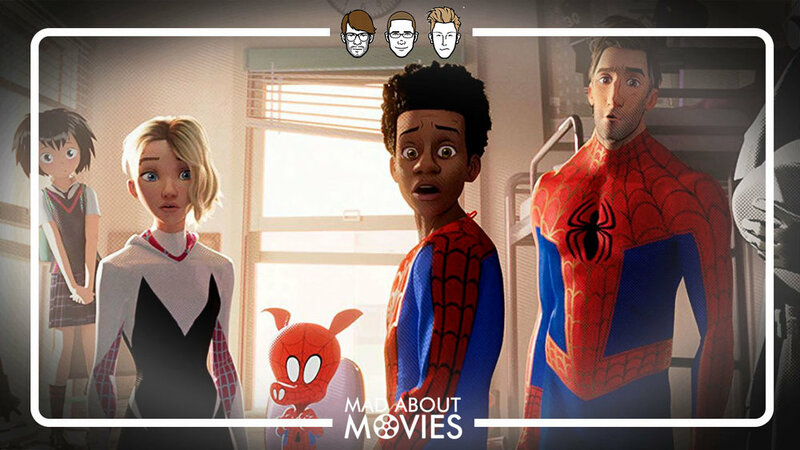 Time to go inter-dimensional web flying with Spider-Man as we dive into the animation/comicbook/CGI hybrid surprise hit 'Into The Spider-Verse!' Merry early Christmas, #MAMfam! In honor of the holiday season, we're throwing it back for the VIPs to the "beloved classic" A Christmas Story to give our honest opinions about what we think of it! Let us know your favorite Christmas movies that you'd like for us to review since we can only think of literally 4 Christmas movies worth our time. Grab your bows and arrows, squeeze into your slim-fit archery clothes and forget the physics of fire, because they're rebooting Robin Hood in 2018! Join us for an exhausting review of one of the worst movies of the year, or any year for that matter. When you combine director Steve McQueen and Hollywood treasure Viola Davis, it’s a formula for Oscar gold right? Join us as we are joined by our friend Rachel to discuss all the twists and turns that ‘Widows’ had to offer.